Nary a knitter or crocheter can resist making soft, snuggly things for babies. 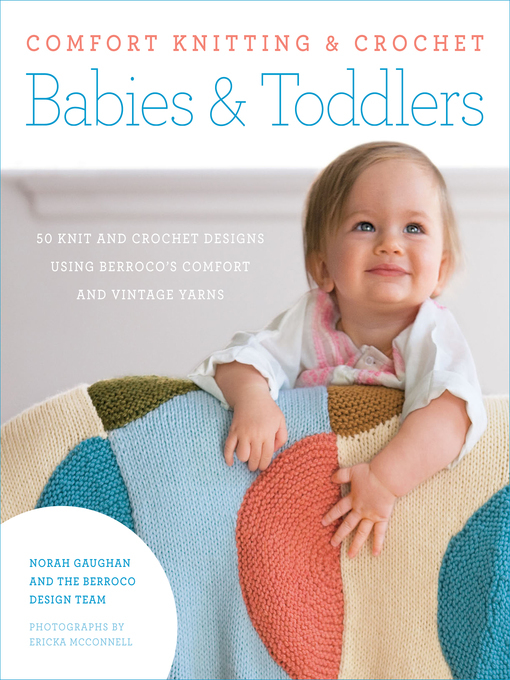 In Comfort Knitting & Crochet: Babies & Toddlers, the Berroco design team (led by superstar design director Norah Gaughan) cover all of the cozy bases, presenting blankets, sweaters, bonnets, and plush toys. Like the first book in the Comfort series—Comfort Knitting & Crochet: Afghans—this one features 50 knit and crochet projects using the company's bestselling, affordably priced Comfort and Vintage yarns. With project styles ranging from traditional pastels and Aran knits to midcentury modern color-blocking, and challenge levels ranging from beginner to advanced, there's something for every knitter and crocheter—and every baby they love—in this beautiful collection. Berroco began as Stanley Woolen Mills in 1810 and has gradually evolved into one of the largest importers and wholesalers of yarns, patterns, and supplies to independent yarn shops throughout the United States and Canada. Norah Gaughan, author of STC's Knitting Nature and Comfort Knitting & Crochet: Afghans, is Berroco's design director; her work has been published by almost all of the major yarn companies and knitting magazines in the industry. She lives in New Hampshire.